When I talk about online business, a majority of sceptical people think it is a form of business majorly for losers. A lot of people forget the fact that most world’s richest men control some online business that yields major revenue for them. Starting from the local market here in Nigeria to the global market, I will be showing you some of the businesses that one or more world rich people control. It doesn’t matter which online business you decide to venture into. Even if you don’t end up as one of the richest in the world, you would make enough money for you to spend. 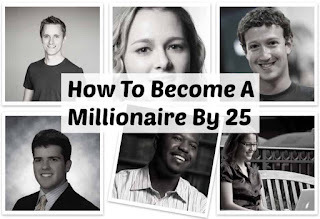 You would be shocked to see some online businesses that several online millionaires practice. The E-commerce industry introduced itself as a million dollar industry after Jeff Bezos exploded with Amazon. It is based in Seattle and founded in 1995. Selling to consumers without them touching the product physically is something that Amazon was able to achieve. After the success of Amazon, several firms followed suit by creating their own online stores. Alibaba, Aliexpress, even our local players in Nigeria joined the bandwagon, and it has been a sweet tale ever since. This online business has produced more millionaires than any online business in history. When Web Mastering wants to make you a millionaire, it doesn’t consider age or location; it just gives you what you deserve. Millionaires like Evan Thomas Spiegel (27) came on board by creating an application that helps users connect with others in the world. The idea didn’t suffer because a similar application was there already. Instead, it came with its unique features that were accepted by the global community. John Chow of “Dot Com Lifestyle” showed that affiliate marketing could be so lucrative. He didn’t learn by researching materials on the internet, he made several mistakes that almost rendered him broke. He later found a winning model, which has helped shaped the tactics of modern-day affiliates. I was opportune to have a sneak as to what John Chow had to say on affiliate marketing, and it helped shape my own affiliate strategy. I have decided to show Nigerians the methods that would help them make money as affiliates on the global market, and I decided to write my own guide for Nigerian affiliates. Connecting buyers with suitable products (Affiliate Marketing) is a cash cow if you know the rules of engagement. This is a broad word, but we talk about rendering services to people for a specified amount at an agreed deadline. I wouldn’t want to go as far as mentioning foreign freelancers who have made millions of Naira on platforms like Fiverr and Upwork. Even in our local communities, we have freelancers who have made fortunes on freelancing platforms. We have the likes of Gbolagbade Adetunji – who sold to me the first manual on freelancing, my humble self – who has become an expert after years of practice, and several others whom I can’t start calling out. When you understand the tactics and strategies behind freelancing, you would know that making a million Naira is an achievable feat within 6 months of starting. I am willing to help all those who have the right mindset to start. While the above millionaires are negligible as compared to thousands and millions of other millionaires who have made their money online, it is no big deal to say that money is on the internet. Remember to always visit the blog for more information. Thanks. You can click this link if you want to start making money from Affiliate Marketing.